Plough Monday dates back to the late 15th Century and is generally considered to be traditional start of the agricultural year, when people return to work to mark the beginning of the ploughing season. While Metal won’t literally drag a plough through the streets of Liverpool…we are metaphorically heading back to work to develop a new green public space in Edge Hill Station, the oldest active passenger railway station in the world. 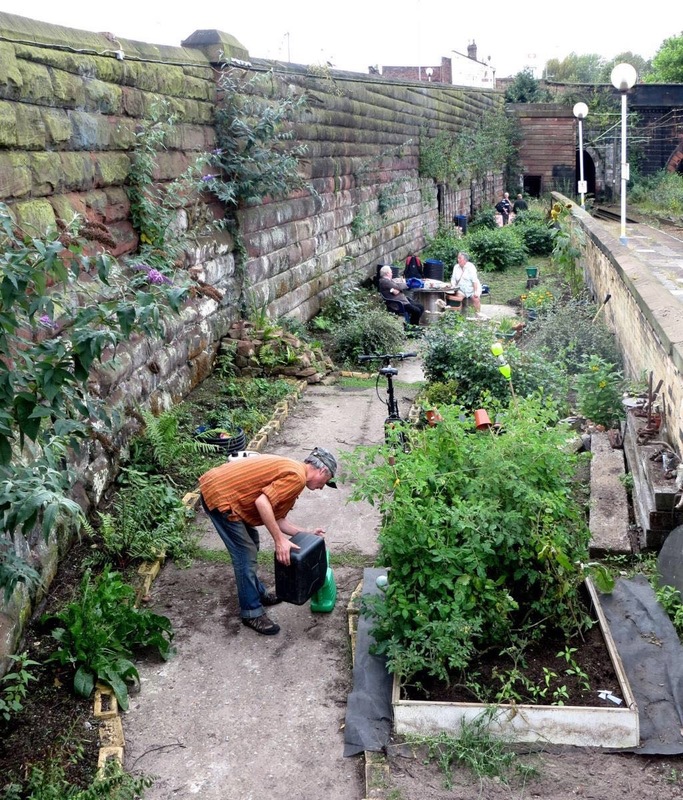 Edge Hill Station Garden was first re-developed in 2011, and we’re delighted to announce that Metal has recently secured some financial support from Tesco’s Bags of Help initiative to develop a yearlong programme of art, food and gardening. Committed to opening up the process of creation and our public programme, we’d like to invite local residents, artists, and organisations to a Future Station event exploring how public green spaces benefit our day-to-day lives and can drive awareness of environmental sustainability. The evening will be an opportunity for all participants to share their experiences and involvement in creating green spaces, and question the potential role of arts and culture in their development over time. The event will consist of informal talks, open discussions and will loosely be structured around the following themes and provocations. Where do we find ‘wildness’ in our cities? In contemporary society, what is the public’s interest in wilderness? How have artists imagined wild spaces? Michael Smythe is an artist and Creative Director of Nomad Projects – an arts commissioning foundation that nurtures action-based research and collaborative encounters in the public realm. In 2014 Nomad Projects launched Phytology, an urban physic garden established within a WW2 bomb-site in Bethnal Green, East London. Phytology is an artist & community-led project exploring the use, value, resilience, and function of wildness within urban ecosystems.